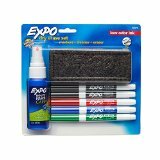 Sticks to whiteboard, fridge, steel surfaces, and other magnetic surfaces. 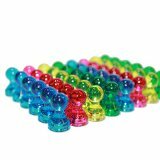 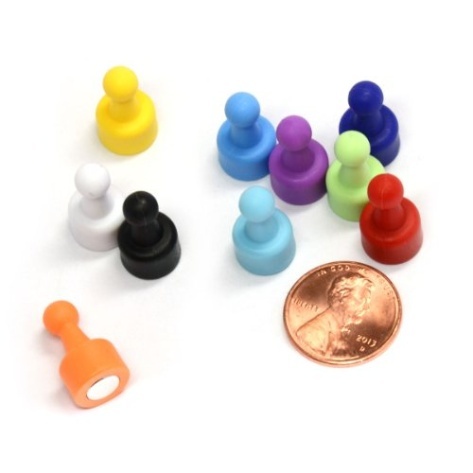 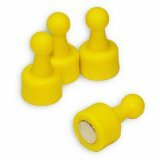 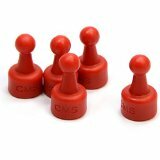 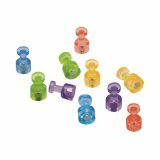 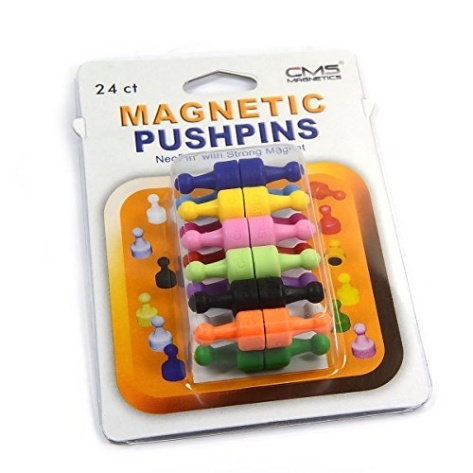 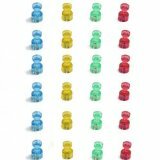 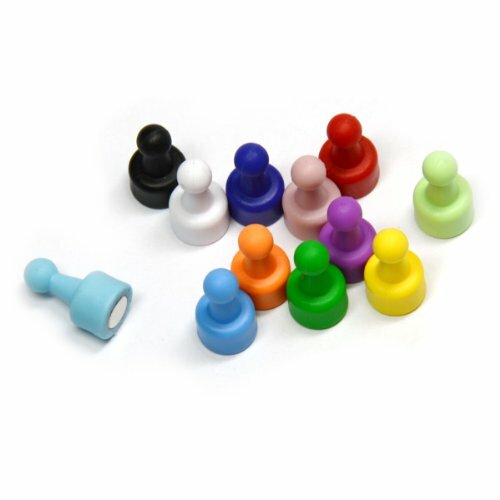 This listing contains 24 color-assorted, neodymium magnetic pushpins. 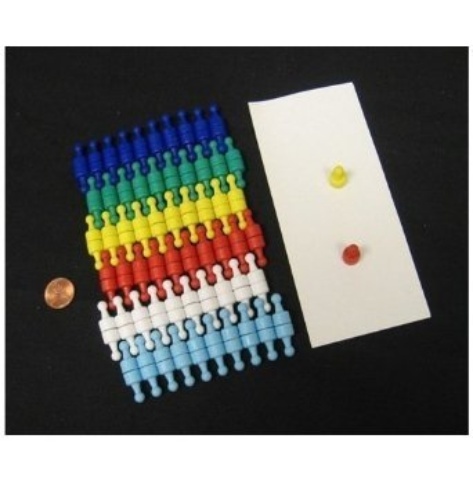 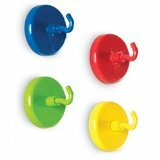 Each pushpin is 3/8" in diameter, 11/16" high and can hold up to 16 pieces of 20 lb paper on steel surfaces, or 8 pieces of paper on magnetic whiteboards, or a single page on a magnetic glass board - an unbelievable holding power! 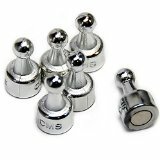 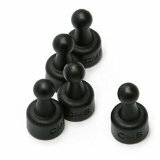 These magnets are very strong; no more frustration dealing with weak magnets that always slide off surfaces. The following colors included: Dark blue,light blue baby Blue, Green, Mint Green, Yellow, Red, Purple, White, Black, Orange, and Pink. WARNING: Keep away from children under 5 years old. 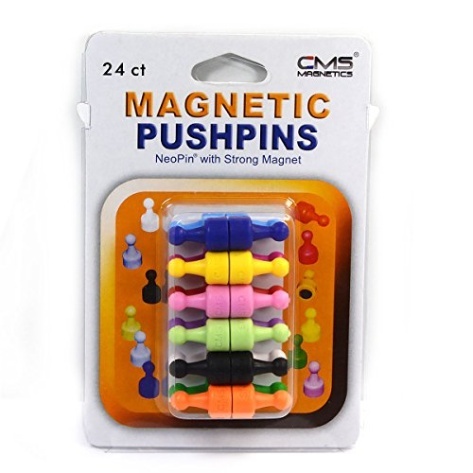 Ingestion of pushpins can be hazardous to child's health.